Families are important to Warwick Arts Centre and we are committed to ensuring that they continue to have the best possible experience when they visit our venue, use our website, or book tickets. Our Family Ambassadors help shape our programme of family friendly work and inform the way we communicate with family groups. 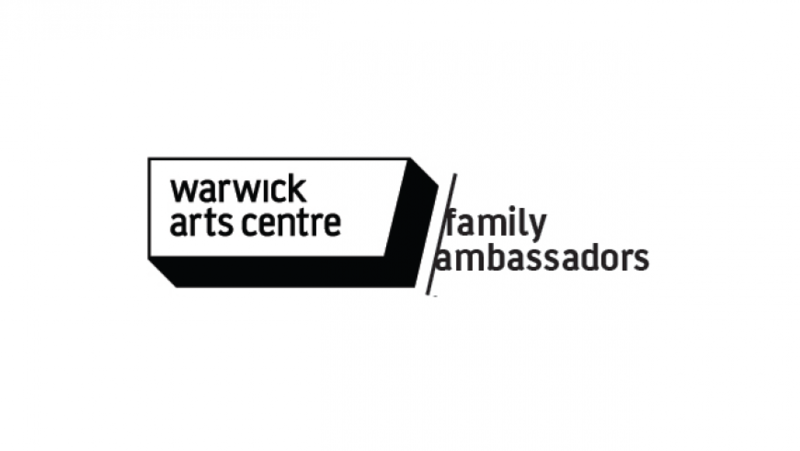 Family Ambassadors regularly meet (on and offline) to share ideas, see behind the scenes, learn new skills, and meet a range of Warwick Arts Centre staff. Interested in becoming a Family Ambassador? Places are strictly limited but you can register your interest by emailing Johnathan Branson on J.Branson@Warwick.ac.uk or telephoning 024 765 72678. We’ve also signed up to the Family Arts Standards. Find out more here. Watched a video recording of our new Christmas show and provided feedback on the age appropriateness of the work – and generated engagement ideas based on topics and themes in the performance. Helped to disseminate the Summer Family Day evaluation form to capture audience feedback, which will be used to inform the next event. Attended and provided feedback on Half a String’s A Heart at Sea. Attended Family Day Planning meeting to help inform the development of the programme. Provided our Film Programmer with advice on family films for the spring programme. Visited Tate Liverpool to see the John Piper exhibition in advance of it visiting the Mead Gallery. Then helped generate engagement ideas for the Creative Space and helped the marketing team position the exhibition for family audiences. Met with the new Head of Creative Learning and discussed potential ideas for the team’s new programme of work. Took part in a workshop to inform the develop of engagement ideas for the Clare Woods exhibition – and developed questions for a video interview with the artist, which featured in the exhibition. Attended and provided feedback on Protein Dance’s The Little Princess. Supported a successful £250k funding application by taking part in a short video – where Ambassadors talked about why the Arts Centre is important to them. Attended and provided feedback on Roberto Fonseca.